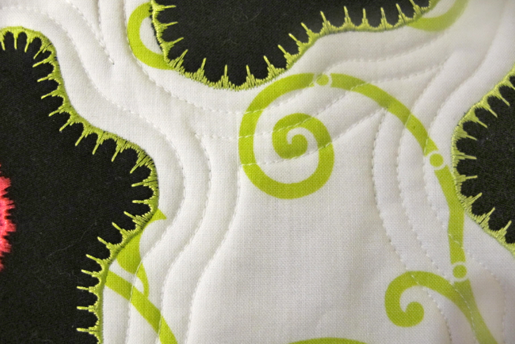 Echo Quilting is a great way to enhance an appliqué or embroidery design. It is also a great filler for backgrounds. There are two ways to echo quilt: With the feed dog raised, allowing the machine to feed the fabric through the machine; or with the feed dog lowered, using your hands to move the fabric for free-motion sewing. Let’s begin with quilting with the feed dog raised. 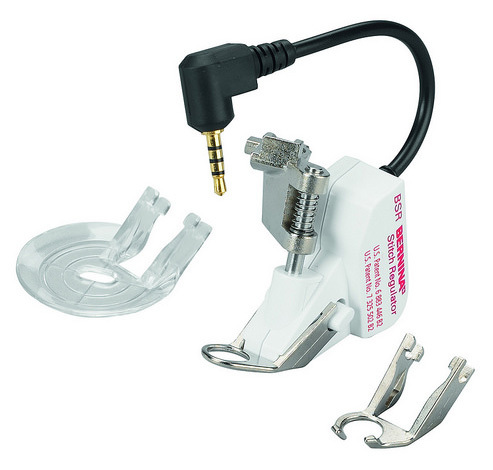 Often called the “‘training wheel’ to free-motion quilting,” BERNINA’s Leather Roller Foot #55 is the ideal foot for echo quilting while maintaining contact with the feed dog, letting the machine maintain the stitch length. Leather Roller Foot #55 is unique in that the roller of the foot rests on only one side of the feed dog, allowing for easy curved movement. Let the roller guide along the shape you are echoing. 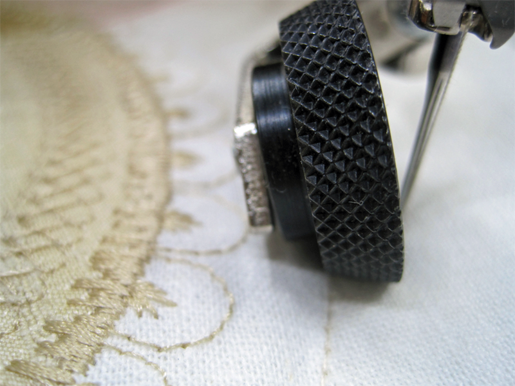 After stitching the first row of echoing, let the edge of the textured wheel ride along the previous line of stitching. 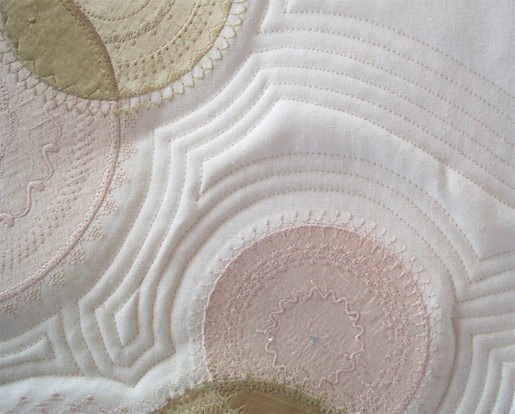 When echo quilting I never do more than three rows of echoing; at that point I change direction and create a new pathway. 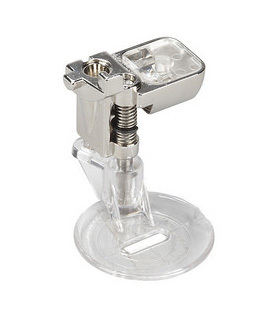 There are two feet consider for free motion echo quilting: Echo Quilting and Cutwork Foot #44. and the clear sole of the BERNINA Stitch Regulator. Both of these feet have concentric circles marked around the center of the clear sole. The clear sole allows you to see through the foot, making it easy to see the edge you are echoing. We’ll have more Quilting Basics tips from Nina McVeigh here on WeAllSew every now and then – stay tuned! Be sure to check out her previous tips on folding mitered corners, securing machine quilting stitches, and the importance of a perfect 1/4″ seam allowance. Previous Previous post: Happy Halloween from WeAllSew!